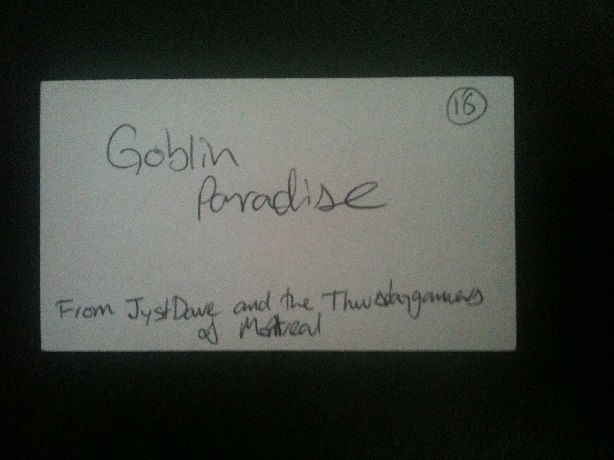 Kev mixes The Goonies, The Dirty Dozen, & a dash of Gremlins, all while wondering what, exactly, a Goblin Paradise might look like, and how you’d find one if you needed to. Craig heads for the movie Labyrinth by a roundabout route, and contemplates both massive political upheaval and the Terrible Madness Of The Goblin King. Ben starts with the French cinema during World War Two and ends up with an all-Goblin theater troupe. Great British Menu favourite Paul Ainsworth joins our 100 Days of Summer celebration to offer a delicious barbecued mackerel recipe, accompanied by a dreamy celeriac mayonnaise. Ok, so I’m thinking that the players are a small group of goblins who have been watching TV, and get overexcited by the advertising for the 100 Days of Summer thing. They plan to break into the TV kitchens, hiding in the lighting rigs by day and nipping down to steal the food, and maybe having a bash at the recipes at night. If things get completely out of hand, they might try and kidnap Paul Ainsworth to give master classes back at the goblin village. Or just tasty noms. Whatever happens first. This can be one of certainly my personal favorite write-up.